With few properties coming on the market in Bovey Tracey, Terry and Josephine Lee were struggling in their quest to upsize in the beautiful Devon town. So when the sales centre opened at Bovis Homes' Williams Gate location, the couple decided to visit and find out more about the new homes being built there. "We had never bought a new-build before, but it just ticked all the boxes and was exactly what we were looking for," says Terry. "We met with the Sales Advisor, Karen, and she was really patient and helpful. We also found out about the Home Exchange scheme, which was perfect for us." The Home Exchange scheme involves Bovis Homes buying a customer's existing property, taking away the stress of selling up and the challenge of dealing with house chains. "We got a fair price for our home and avoided the estate agent fees," says Terry. "We didn't have any of the usual worries and we could stay in our old home until the new one was complete. "When we reserved, they hadn't even put a spade in the ground," says Terry "But Karen was fantastic in explaining what the site would be like - we knew exactly what to expect and what we were buying. We weren't left to our own devices - she talked us through the whole process." 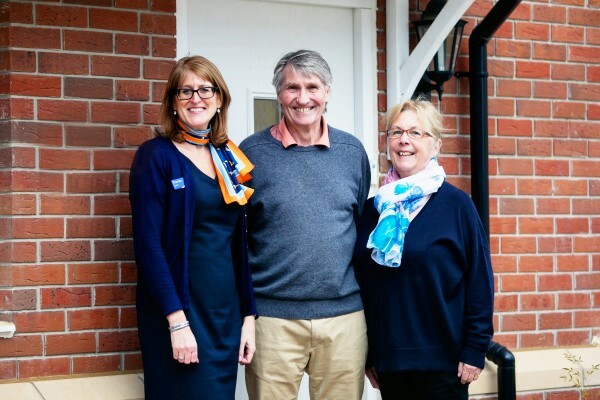 Terry and Josephine were torn between three different house types and went to see the show homes at other Bovis Homes' locations to find out more about each of the styles. "We looked at the homes in Milton Keynes and Horsham and we were very impressed with the quality and specification of the houses," says Terry. "The sales advisors were great while we had a look around the different show homes and they answered all of our questions." Mr and Mrs Lee eventually settled on the four-bedroom Canterbury house type. "It just ticked all the boxes for us," says Terry. "We wanted somewhere which was big enough for when all the family came to stay, but not too big that we'd lose each other when it was just the two of us." "The rooms just flow into one another. The large open-plan kitchen and dining area is a really nice social area, as is the lounge, and the study is just what we needed. The four bedrooms are all an excellent size for when the family come to stay with us too." 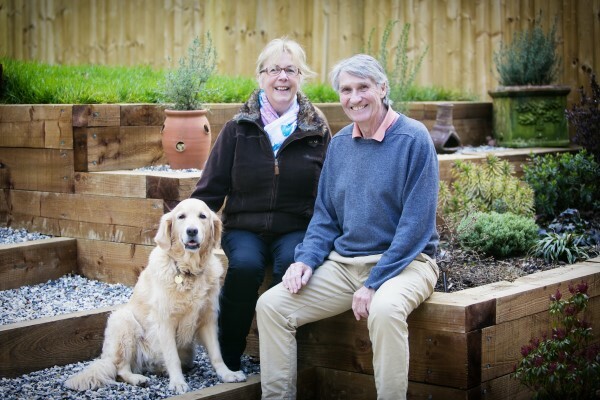 Mr and Mrs Lee were among the first people to move into the homes at Williams Gate, and having their garden landscaped was the top of the list for the couple. "Our garden is huge, which is really unusual for a new build. Karen warned us that it would be on a slope, but we've actually embraced it and turned it into a real positive," explains Terry. "It has a real 'wow' factor and we've had many people visit and create the same design in their garden! Bovis Homes were helpful in enabling us to have the patio area extended, which is great and we've already had parties and drinks out on it. "The home is just perfect for us and we just love it!"